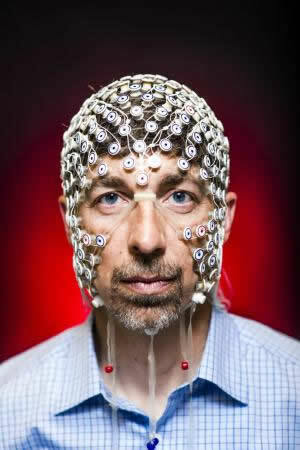 Electrical and computer engineering professor Barry Van Veen wears an electrode net used to monitor brain activity via EEG signals. 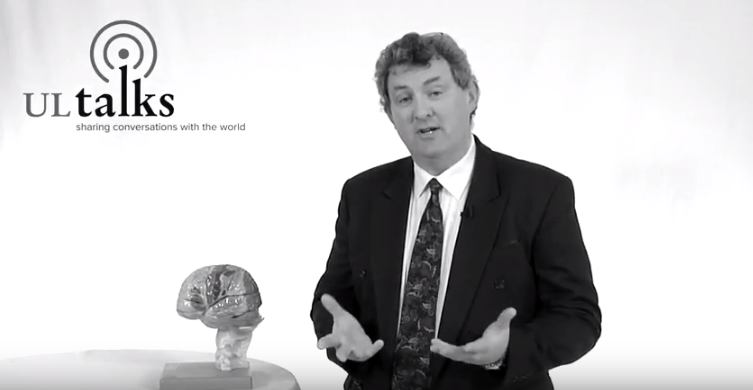 His research with psychiatry professor and neuroscientist Giulio Tononi could help untangle what happens in the brain during sleep and dreaming. Credit Nick Berard. As real as that daydream may seem, its path through your brain runs opposite reality. Aiming to discern discrete neural circuits, researchers at the University of Wisconsin-Madison have tracked electrical activity in the brains of people who alternately imagined scenes or watched videos. People with mentally taxing jobs, including lawyers and graphic designers, may end up having better memory in old age, research suggests. Researchers at the RIKEN Brain Science Institute in Japan have identified a key neuronal pathway that makes learning to avoid unpleasant situations possible. Published online in the November 20 issue of Neuron, the work shows that avoidance learning requires neural activity in the habenula representing changes in future expectations. Combining behavioral and physiologic measures depicts gradual process, may help diagnose sleep disorders. Neurophysicists have found that space-mapping neurons in the brain react differently to virtual reality than they do to real-world environments. Their findings could be significant for people who use virtual reality for gaming, military, commercial, scientific or other purposes. New brain imaging technology is helping researchers to bridge the gap between art and science by mapping the different ways in which the brain responds to poetry and prose. As methods of imaging the brain improve, neuroscientists and educators can now identify changes in children’s brains as they learn, and start to develop ways of personalizing instruction for kids who are falling behind. Scientists have identified a weak spot in the human brain for Alzheimer’s disease and schizophrenia, revealing a connection between the two diseases. A team of scientists has found a simple method to convert human skin cells into the specialized neurons that detect pain, itch, touch and other bodily sensations. These neurons are also affected by spinal cord injury and involved in Friedreich’s ataxia, a devastating and currently incurable neurodegenerative disease that largely strikes children. Berkeley lab reports proper copper levels are essential to spontaneous neural activity. 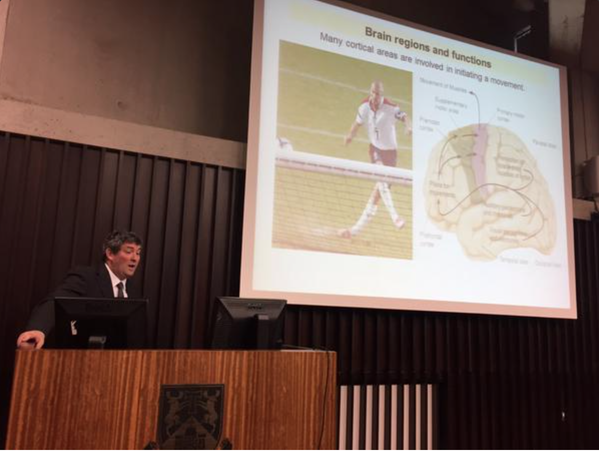 Researchers are using an enhanced MRI approach to visualize brain injury in the blood brain barrier in order to identify significant changes to the blood-brain barrier in professional football players following a concussion. A new study reports that older learners retained the mental flexibility needed to learn a visual perception task but were not as good as younger people at filtering out irrelevant information. Finally this week, in the largest study of the genetics of memory ever undertaken, an international researcher team have discovered two common genetic variants that are believed to be associated with memory performance. The findings, which appear in the journal Biological Psychiatry, are a significant step towards better understanding how memory loss is inherited. Death Of Cricketer Phillip Hughes: Why Are Some Brain Injuries Worse Than Others?